Some Russian Jews, acknowledged Ms. Godik, support Vladimir Putin. A group of Russian Jews from Ulyanovsk [a city of approximately 600,000, located on the middle stretch of the Volga River, 900 km/550 miles east of Moscow] even came to Crimea in support of Russian annexation of Crimea, she stated. She finds Russian Jewish support of Mr. Putin to be "embarrassing," she commented, but she "understands their situation," i.e., she believes that many Russian Jews have been coerced into making statements or undertaking certain actions favoring Russian annexation of all or parts of Ukraine. Regarding the Jewish situation in Ukraine, foreigners often exaggerate the extent of antisemitism in the country. She realizes that the foreigners are trying to be helpful, but not all of them are as well-informed as they might be. Later, Ms. Godik said that, "Whatever happens regarding Maidan, Jews will be blamed." Inflation, said Ms. Godik, is about 40 percent. Due to devaluation of the hryvnia, UUJS activists cannot afford to attend conferences abroad. On a local level, she stated, UUJS is unable to charge participants very much for events, which limits its ability to engage the top-level speakers that its members want. She doubts that the organization will be able to continue its popular program of expeditions to places of Jewish interest, because would-be travelers may be unable to pay the costs of transportation, local accommodations, guides, etc. Even more distressing, Ms. Godik continued, the pensions of elderly people do not "stretch" to cover basic needs; they cannot purchase the medicines essential to their well-being. On a personal level, she acknowledged, she fears that the university at which she is employed will be unable to pay her salary. UUJS eagerly embraces partnerships with other organizations, said Ms. Godik; they have worked with the Brodsky synagogue (Rabbi Asman), Rabbi Bleich, the Embassy of Israel, and the Jewish Agency - and will work with any of these groups again. Obviously, they also work with UJS in Israel and WUJS in Europe. As productive as these relationships have been, Ms. Godik continued, UUJS also is seeking new initiatives that they can pursue on their own. 66. 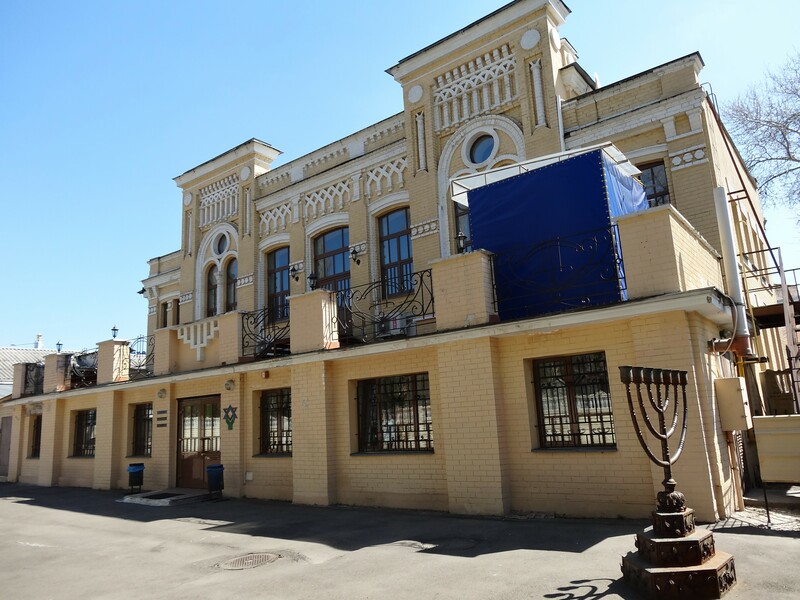 Rabbi Motti Neuwirth, who is associated with Chief Rabbi Yaakov Dov Bleich and the Grand Choral Synagogue on Schekavitskaya street in the Podil area of Kyiv, directs a program for young adults between the ages of 25 and 35. Known as Morasha (Heb., heritage, legacy), the program attracts 90 unique young people every week, 35-40 of whom attend on any given day. Morasha convenes in a small, but clean and well-furnished center in the basement of one of the synagogue buildings. The current crisis in Ukraine, said Rabbi Neuwirth, has encouraged people from Morasha to emigrate to Israel. Five young couples have already gone, and two more will leave for Israel soon. Their departures are a loss for his community, he continued, but the leadership gaps that they leave create new opportunities for others to step forward. He is strongly in favor of aliyah and is pleased to "lose" participants in his Ukraine programs when they go to Israel. Rabbi Motti Neuwirth supervises a range of programs intended to draw young adults to Judaism and Jewish practice. Originally, he focused on day school graduates, but now aims at a much broader segment of the Jewish community. A signature program of Morasha, said Rabbi Neuwirth, is a 20-session class called Unlock Your Judaism. He described it as a text-based, analytical course inspired by the popular paperback Judaism for Dummies (Hungry Minds, 2001). Unlock Your Judaism is followed by Upgrade Your Judaism, which students pursue in chevruta (Heb., learning with a partner). Both of these courses are scheduled for evenings between 7:00 and 10:00 p.m., so that people may participate after work. Morasha also offers STARS Intensive, a more comprehensive version of the original STARS (Student Torah Alliance for Russian Speakers) course. Participants move into apartments owned by the synagogue and participate in synagogue- and apartment-based learning and worship for 40 hours every week while maintaining outside employment. Two of the four couples enrolled in this program recently emigrated to Israel, Rabbi Neuwirth said, and six men continue. Morasha no longer teaches any regular STARS classes, stated Rabbi Neuwirth. Morasha also manages a Shabbat Host program in which 20 host families in Kyiv invite interested Jews to a traditional Shabbat meal at their homes. Using a data base, a coordinator matches hosts families and guests, attempting to assemble groups of people who are compatible. Independent of local rabbis, the Shabbat Host program also operates in Odesa, Dnipropetrovsk, and Donetsk, albeit on a smaller scale than in Kyiv. Asked to comment on the impact of Maidan and of the current conflict with Russia, Rabbi Neuwirth said that Morasha participants were among the demonstrators on Maidan. Many Jews were there, he observed. 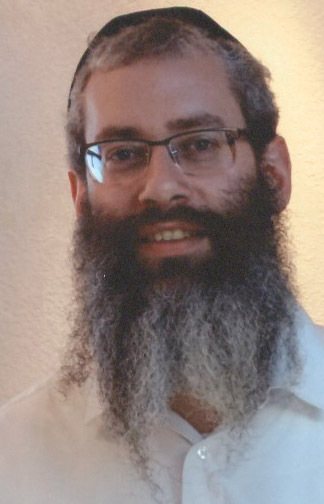 Due to increased tension and crime on the streets in January and February, Rabbi Neuwirth continued, attendance at Morasha classes and other activities dropped considerably during that period; in response, Morasha posted its lectures on YouTube. Rabbi Bleich's synagogue community, he added, is sufficiently concerned about future instability that they have developed an evacuation plan, designating buses owned by the day school that will take community members to a Karlin-Stolin community in Pinsk, a nearby city in Belarus. They also have stored enough food to feed a large number of people at their summer camp for two months. 67. Midrasha Tzionit was established in Kyiv in 2001 as a center for Jewish Zionist education under the auspices of the Jewish Agency for Israel. Over time, as economic pressure on the Jewish Agency has grown, its interest in the Midrasha has decreased. Funders now include the Genesis Philanthropy Group of Moscow, the Dutch Jewish Humanitarian Fund, the L.A. Pincus Fund for Jewish Education in the Diaspora (within the Jewish Agency), and the Conference on Jewish Material Claims against Germany, in addition to the Jewish Agency itself. 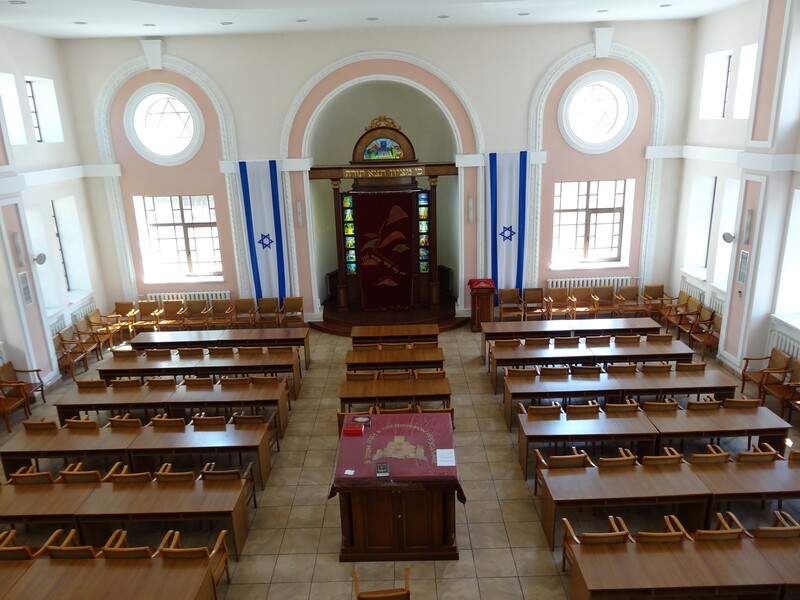 The Midrasha is located within the former Galitzky Synagogue, a structure built in 1909-1910 and confiscated by the Soviet Union in 1930 for use as a workers' dining hall. In 2001, after the factory supporting the dining hall declined under free market conditions, the building was returned to the local Jewish community. 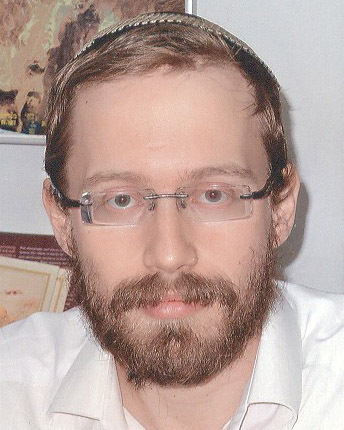 Rabbi Mikhail Rosenfeld, a native of Leningrad who emigrated to Israel as a child with his family, directs the Midrasha, describing it as a Jewish program center attempting to attract a multi-generational audience. Its core programs include: Shabbat services, which attract about 40 people every week: young adult learning: two music groups for children; youth groups, which also attract some participants from Moldova and Belarus, who come for Shabbatons; and theater productions, which include a mix of professional and volunteer actors. One of the featured theater programs is a dramatized Purimspiel that is presented at the Midrasha, the hesed, and several day schools. Youth groups, said Rabbi Rosenberg, focus on building attachments to Israel and to Judaism, as well as training leaders. The Midrasha holds two seders, one in the Midrasha and one in a private home. It also sponsors summer and winter camps for teenagers and university students, but Rabbi Rosenfeld was uncertain that the summer camp would operate in 2014 because it had been scheduled for a site in Crimea, which probably is inaccessible to Ukrainians now. Rabbi Mikhail Rosenfeld is pictured at right. The Galitzky shul, bottom left, houses the Midrasha Tzionit. The largest space in the shul is the prayer hall, designed originally to accommodate 400 people. The second floor contains a women's balcony, a large multi-purpose room with a significant library in locked glass cases, and several small offices. Photos: the writer. Midrasha Tzionit collaborates with the Jewish Agency in hosting programs about aliyah to Israel, especially now because many local Jews are leaving Ukraine or at least are thinking about leaving, said Rabbi Rosenfeld. Posters about Israel and Israeli flags are prominently displayed throughout the building. The Midrasha will hold its own Israel Independence Day celebration. Rabbi Rosenfeld observed that attendance at Midrasha Tzionit events had dropped considerably during the last several months because people are worried about political instability and their own safety on the streets. In general, he continued, tension is ever present and strong.